We had a small grainy images to drool over, but these images are crisp! 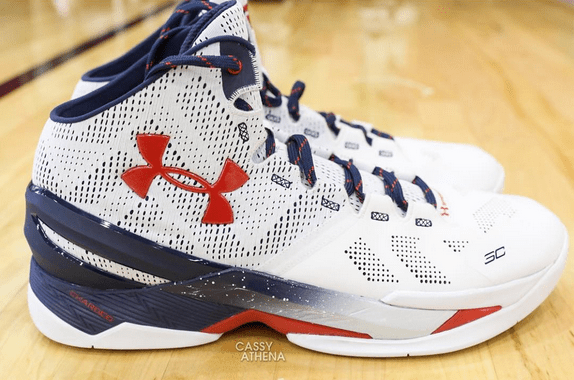 The Under Armour Curry Two is coming and they look great in a ‘USA’ theme. The forefoot is a synthetic Fuse material while the rear section and tongue are SpeedForm. Should make for a really comfortable fit/upper. Charged cushion, which I hope feels a little more like Micro G this time around. I was told that the creator of the Reebok ES22 had a big hand in designing the Curry 2, which I found interesting. Enjoy the new images courtesy of @cassyathenaphoto and stay tuned for more. Look dope, Nightwing do u think that the cushion will be thick enough for big men? It looks awfully thin. The materials are just like my speed form apollo vent. the only difference is the that the part with the pattern (armorvent) is at the heel and the the synthetic is the front. i wouldn’t really describe it as fuse its really far from fuse its kinda like a thicker and more robust version of nikes EM. You probably misunderstood NW’s post. Its clearly stated it has a heel and tongue Speedform (EM-like) and a fuse toe box (not the entire shoe) which is clearly seen with the pics. Dude read the article it states what the materials are there. The Reebok ES22 are dope. 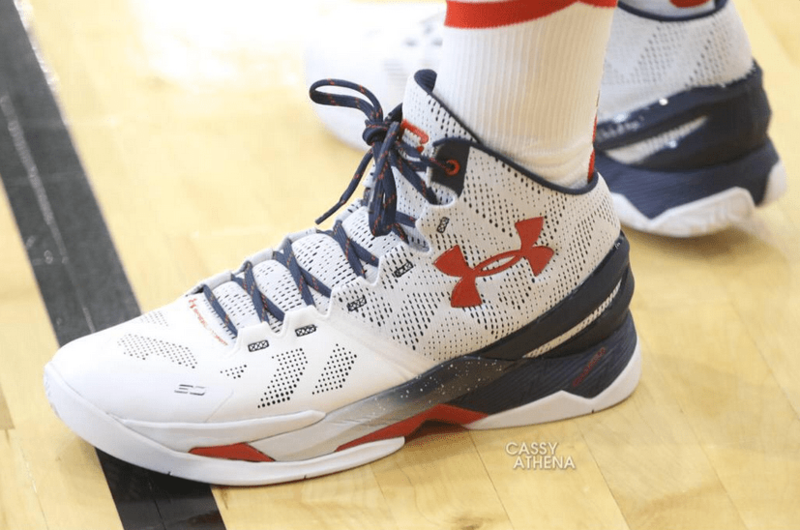 An these Curry 2’s are sick. These will sell out. I hope everyone here is able to cop a pair. I think the 1 looked more original, had a fresher feel, but this one looks more harmonized, better resolved look. I love the midsole ‘herringbone’-ish design. It’s also used on the Fortis and CFD II. Did Curry remove his shoe for people to take a picture of it? I like how the shoe looks. Is there already an expected release date for the Curry 2’s? Im guessing their using the apollo form for a much snugger fit similar to the clutchfit.